Jollibee, the leading Filipino fast food chain, is the choice of venue for practical moms like us, to have a birthday party for our children. At Jollibee, birthday party packages are complete and will truly make your child's birthday party memorable. Both my children had their birthday parties at Jollibee when they were celebrating their 2nd birthdays. I also shared in my previous blog posts our experience during my toddler's Jollibee birthday party and the available party packages over HERE. 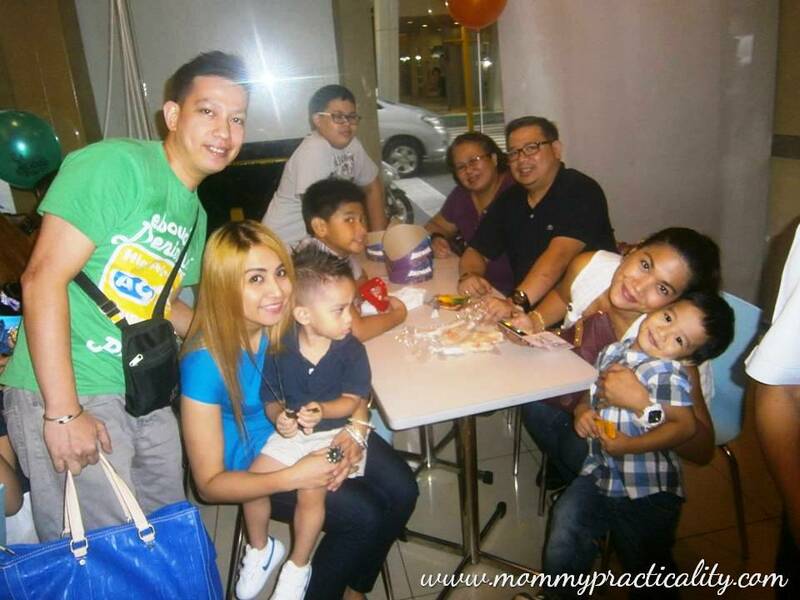 Now it was my nephew's turn to celebrate his birthday at Jollibee and let me share with you details of the birthday party. Did you know that it's now easier to book for your child's party? Jollibee now has an Online Party Reservation where in just three steps, you could book and plan your child's birthday party. I simulated booking a party, now let me share how easy it is. I simulated how to book a party online and it was no sweat! Done in less than 5 minutes. It even computes automatically the running cost of the party you are planning. Select the municipality, branch, date and time of your child's birthday party. A complete detail of the venue of your choice will show on the screen. Should you need additional party favors such as lootbags, invitation, party hats or trayliners, you may add more. Indicate the number of pieces of any additional item and the online reservation will compute the running party cost for you automatically. A party is not complete without food right? The next step is to choose your Food Package. You may choose from any packages below (good for 30 pax) or you may create your own. You may also order your child's birthday cake (Red Ribbon is the official cake supplier) online for only P900.00 (8x12) to P1,100.00 (12x12) only. You will be prompted to input the cake message details, your personal details/customer details. Here's the total cost of the Jollibee Birthday Party Package I availed for a group of 60 people. Only major credit cards are accepted as online payments. You may opt to pay the down payment of P3,000.00 first or the full amount already. Before the party started, the venue in Jollibee Greenhills was already set up with the huge Batman birthday banner in front with my nephew's name on it. Birthday balloons which were part of the party theme paid, were also set up and hung on the walls of the enclosed party room of Jollibee. While waiting for the program to start, this Jollibee guestbook was going around. This is a good memorabilia of the birthday party and something nice to look back to years from now. The host started the program with a prayer and with singing a birthday song to the celebrator. Games for kids and adults-alike started momentarily. My elder son's competitive side comes out each time there are party games because he likes winning the prizes. Below were some of the prizes that he won for himself and his younger brother. To keep guests entertained while waiting for the food to be served, the message board which also came with the party package were passed around so people could write their wishes for the celebrator. We ordered Food Package D which costs P198.00/person. The package includes 1pc Chicken Joy, Spaghetti, Regular Fries, Regular Drink and Sundae. The highlight of the party is none other than the appearance of Jollibee himself. Jollibee performed a cute dance number, sent his birthday wishes for my nephew and was ready for a lot of goofy photo-op with the guests. Honestly, all the Jollibee Birthday parties I had for my kids and even those we just attended as guests, were nothing but superb fun! Kids do love Jollibee and I personally love it that they came up with different themes to choose from. Their party favors are already complete. They are quite flexible should you want to bring additional prizes, loot bags, banners, additional balloons or cake from a different supplier. What's important is the happy feeling everyone experiences after leaving the party, most especially of the birthday celebrator. Sa Jollibee, BEEda talaga ang saya! Agree? So for more information on Jollibee Kids Party you may visit Jollibee's website or follow @iwantjollibee on Twitter.